I Received My #LD48 Gift Exchange Gift! 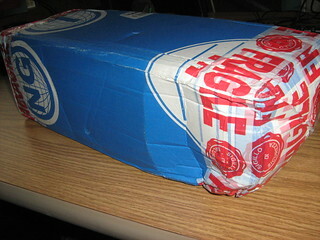 It says “FRAGILE” and yet you can tell it was still shipped in the same cargo ship that transported exotic circus animals. Still, I opened it, and it seemed that even if the box looked worse for wear, the contents were packaged in some heavy-duty materials to make transportation safe. So the laugh is on you, circus animals! Chouchen Lancelot is mead, according to La Boutique Du Comptoir. 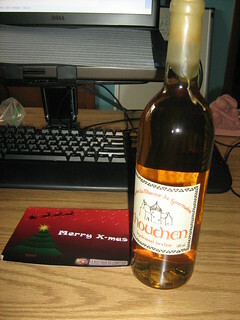 Sweet nectar of the gods, I have a bottle of French mead! And the cork is covered in real wax, and it smells like fantastic French cork and wax! Merry Christmas, Ludum Dare! And thanks, Adrien Giboire! I look forward to enjoying my gift!